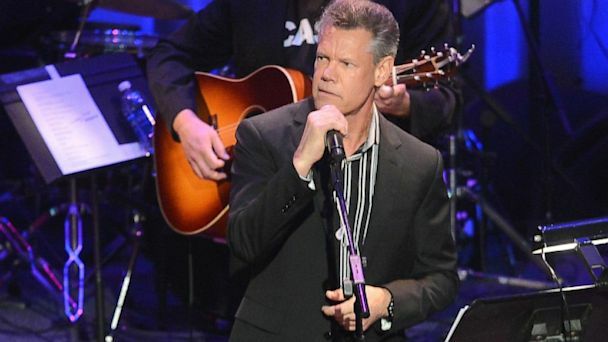 Country singer Randy Travis, already fighting a battle against congestive heart failure, has suffered a stroke. "As a complication of his congestive heart failure, Mr. Randy Travis has suffered a stroke and is currently undergoing surgery to relieve pressure on his brain," read a statement released by publicists for Travis and hospital officials in Texas. "He is in critical condition. We will have updates as they become available. His family and friends here with him at the hospital request your prayers and support." Earlier today, doctors suggested Travis, 54, hospitalized in critical condition with presumptive cardiomyopathy and congestive heart failure, was thought to be improving. "His condition has stabilized," Dr. Michael Mack, director of cardiovascular disease at the Baylor Health Care System in Dallas, told ABC News. "He has shown signs of improvement." Mack and another physician, Dr. William Gray, director of cardiovascular services at Baylor Medical Center at McKinney, Texas, have been responsible for Travis' care since he was first sought medical help on Sunday. According to Gray, Travis was admitted through an emergency department to his hospital. "At McKinney, he was stabilized and subsequently sent to The Heart Hospital Baylor Plano for a higher level of specialized care," Gray said in a statement.